Current construction engineering management suffers numerous challenges in terms of the trust, information sharing, and process automation. Blockchain which is a decentralised transaction and data management technology, has attracted increasing interests from both academic and industrial aspects since 2008. However, most of the existing research and practices are focused on the blockchain itself (i.e. technical challenges and limitations) or its applications in the finance service sector (i.e. Bitcoin). This paper aims to investigate the potential of applying blockchain technology in the construction sector. Three types of blockchain-enabled applications are proposed to improve the current processes of contract management, supply chain management, and equipment leasing, respectively. Challenges of blockchain implementation are also discussed in this paper. 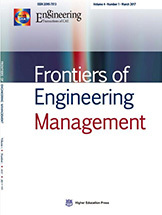 Through analysis of articles published from 2000 to March 2014 in Automaton in Construction (AUTCON), an international research journal published by Elsevier, this paper summarizes the topics of research and the institutions worldwide where research was conducted in construction safety engineering and management. Seventy-one articles published during this time focused on Information Technology (IT) applications in this field were selected for analysis. The underlying research topics and their related IT implementations are discussed, and research trends in allied specialties are identified. This research investigates recent developments in assessment methods of green buildings and compares the differences in rating systems among the United Kingdom, USA, and Germany. There are indications that the rating systems are moving from green buildings to sustainable buildings. In order to understand the recent research in academic areas, we survey the recent Ph.D. dissertations and literature related to green building assessment. Discussion is provided on the major research areas of green buildings, which cover accountability of life cycle cost, methodology for balancing the three pillars, and government vision and public policy. The empirical Complex Model developed by the US Environmental Protection Agency (EPA) is used by refiners to predict the toxic emissions of reformulated gasoline with respect to gasoline properties. The difficulty in implementing this model in the blending process stems from the implicit definition of Complex Model through a series of disjunctions assembled by the EPA in the form of spreadsheets. A major breakthrough in the refinery-based Complex Model implementation occurred in 2008 and 2010 through the use of generalized disjunctive and mixed-integer nonlinear programming (MINLP). Nevertheless, the execution time of these MINLP models remains prohibitively long to control emissions with our online gasoline blender. The first objective of this study is to present a new model that decreases the execution time of our online controller. The second objective is to consider toxic thresholds as hard constraints to be verified and search for blends that verify them. Our approach introduces a new way to write the Complex Model without any binary or integer variables. Sigmoid functions are used herein to approximate step functions until the measurement precision for each blend property is reached. By knowing this level of precision, we are able to propose an extremely good and differentiable approximation of the Complex Model. Next, a differentiable objective function is introduced to penalize emission values higher than the threshold emissions. Our optimization module has been implemented and tested with real data. The execution time never exceeded 1 s, which allows the online regulation of emissions the same way as other traditional properties of blended gasoline. Young engineers are often promoted to leadership roles such as a team leader or a manager within 3 to 6 years of graduating from an undergraduate degree in a technical area. To be competent and successful in their leadership role engineers need to update their engineering management knowledge and learn new skills. The purpose of engineering management body of knowledge (EMBOK) is to delineate the knowledge, skills, and competency areas that are applicable to the engineering management discipline. It basically answers the question, “What does it take to be an effective engineering manager?” The EMBOK is based on a validated study and can be used for curriculum development, certification exams, and professional development programs. This paper describes the 11 domains that are included in the EMBOK and discuss the future publication of the EMBOK Guide. American Society for Engineering Management (ASEM) offers two certification exams based on the EMBOK, Associate Engineering Manager (AEM) and Professional Engineering Manager (PEM).These certification exams can help an individual in the engineering management profession to show that they have kept up in the field and possess the necessary skills and competency to practice in the discipline. A detailed description of this certification program is included in this paper. The future of EMBOK and the certification program is also discussed. This paper aims at analyzing the solid waste emission issues between the industrialized and traditional residential building. The evaluation system of such rubble waste from construction and demolition (C&D waste), including evaluation index and model was proposed based on the “whole life cycle” comprehensive evaluation method. The?empirical?study was applied using a steel structure industrial type of construction, applied to a residential building and comparing against the traditional construction of such dwelling. The result shows that the industrial construction is an effective way to protect the environment. This paper researches the overall construction target of government-led urban complex construction projects based on the perspective of sustainable urban development.In order to achieve benefit maximization, the meta-synthesis management for the government-led urban complex construction project is studied.In order to combine theory and practice, several typical government-led urban complex construction project cases, such as Guangzhou Higher Education Mega Center and Guangzhou International Financial City etc. areexamined. These examples point to thefeasibility of government-led meta-synthesis management and demonstrate the benefits that can be achieved through this model. Engineers and managers involved in construction and facility/infrastructure operations need situational awareness about the as-is conditions when making daily decisions and developing short- and long-term plans. Yet, currently situational awareness of engineers is often challenged due to missing data and the available data not being in a format that is easily accessible and actionable. Advances in reality capture technologies, such as 3-dimensional (3D) imaging, in-situ sensing, equipment on-board instrumentation and electronic tagging, streamline the capturing of the as-is conditions on job sites. The data collected from these technologies, integrated with building information models depicting the as-planned conditions, can help in creating and storing the history of as-is conditions of a facility to support a variety of decisions that engineers and managers need to make. While the opportunities associated with integrating building information models and data capture technologies are compelling, several challenges need to be addressed through research for effective usage of these technologies. Such challenges include assessing the accuracy of the data collected at the field, developing and evaluating data processing and data fusion approaches, formalizing integrated representation of building information models and sensor and other relevant data, and investigating and developing approaches for analyzing and visualizing such integrated information models. This paper provides examples of recent research studies done at the Civil and Environmental Engineering Department at Carnegie Mellon University that demonstrate opportunities associated with integrating building information models and sensor information for facility operations. Throughout history mankind has sought to improve its economic and even its spiritual development through the creation of gargantuan and awe-inspiring infrastructure projects. The twenty-first century has seen the rapid growth of the use of this type of project in providing society’s needs: such projects are widely referred to as “mega-projects”. Mega-projects are extremely large-scale infrastructure projects typically costing more than $1 billion. Mega-projects include power-plant (conventional, nuclear or renewable), oil and gas extraction and processing projects and transport projects such as highways and tunnels, bridges, railways, seaports and even cultural events such as the Olympics. Mega-projects are united by their extreme complexity (both in technical and human terms) and by a long record of poor delivery. What to do in the face of this dilemma is a question that is still being asked by mega-project practitioners and academics alike. This paper presents the unique work of the MEGAPROJECT COST Action which brings together a multi-disciplinary network of over 80 researchers from 24 countries to respond to this dilemma. Mega-project’s aim involves capturing the existing performance of large infrastructural mega-projects and understanding how their delivery can be improved. In order to do this, the investigation has gathered together the MEGAPROJECT Portfolio. The Portfolio contains meta-data on a wide range of mega-projects from across countries and sectors and acts as a firm empirical foundation for the investigation’s activities. Having assembled the MEGAPROJECT Portfolio, this paper shows how analyzing the Portfolio shatters myths of mega-project management and identifies new areas of fruitful investigation. Mega-project’s findings downplay the importance of formal project management tools and techniques in insuring successful delivery. Instead mega-project highlights the need to concentrate on the impact of financing on project governance, the technical modularization of the project and the devastating roles that eternal stakeholders can have on mega-project delivery. Most importantly, it discusses how we can effectively learn across mega-projects in order to maximize their value to their stakeholders and to society as a whole. China is now in an era of large-scale metro construction. This paper reviews the nature of Chinese metro engineering with a specific focus on its organization and market mode, cost structure, safety control and schedule management. Then, an examination on recent research in metro engineering of the National Natural Science Foundation of China (NSFC) is also conducted, which indicates that information and automation based technologies are increasingly used in practice. A wide range of industrial Internet of Things (IoT) applications have been developed and deployed in recent years. IoT has provided a promising opportunity to build powerful industrial systems and applications by leveraging the growing ubiquity of RFID, wireless, mobile and sensor devices. In an effort to understand the development of IoT in industries, this paper reviews the current research of IoT, key enabling technologies, major IoT applications in industries, and identifies research trends and challenges. As IoT has received support from governments and businesses across the globe, IoT will also greatly impact One Belt One Road (OBOR) in foreseeable future. This paper aims to overview Building Information Modeling (BIM) implementation and problems of BIM implementation in Japan. First, BIM implementation guidelines and pilot projects are introduced. Then, some popular BIM software together with typical implementation cases are provided. BIM implementation in Japan is not always encouraged via a top-down consensus in architectural firms and general contractors, as the client and architects can reduce the project risk inherent in design and drawings by transferring these tasks to a general contractor. The paper finally discusses the problems in project management to present a strategy to develop a new version of BIM that will provide value to all of the stakeholders of a project. The construction of new buildings represents a significant investment. The goal of new building construction is to maximize value and minimize cost while staying on time and within budget. Translating customer requirements into engineering terms for new construction design is vital for a construction project to be successful. Quality function deployment has been successfully used in product development to capture the voice of the customer and translate it into engineering characteristics. Quality function deployment then carries these parameters into production and service to ensure the voice of the customer is being met with the final product. The house of quality, a tool within quality function deployment, can provide a means for comparison of owner’s project requirements and the proposed design, along with identifying how the design decisions impact meeting customer requirements and green building requirements. Quality function deployment can effectively link the project phases through design and construction and into operations and maintenance to ensure the owner’s project requirements are met with the final building. This research identifies and categorizes studies of quality function deployment applications in construction. The research method used is a systematic literature review from databases related to quality function deployment in the construction industry published in the periodicals through 2016. The principal findings of implementations, practices, and integrated approaches are then summarized. This article intends to propel further research of quality function deployment in the construction sector. Since the 21st century, the transportation industry in China has achieved rapid growth with a significant increase in the transport capacity; however the development has also greatly impacted the energy saving & environmental conservation. This paper takes into account non-commercial vehicles such as private cars in the statistics of energy consumption and pollution of Chinese transportation system. This method extends on previous methods which solely include commercial vehicles in these statistics. Based on more comprehensive quantitative data, it reviews the progress in the energy saving and environmental conservation efforts by the Chinese transportation industry and points out that the rapid increase of energy consumption and pollution emission and the deterioration of traffic congestion are prominent problems in the development of the Chinese transport industry. The main reasons for theses problems include the unbalanced development of different transport modes, the irrational layout of integrated transport hubs, the inadequate law, regulations and standards, and the use of suboptimal technology. Based on these findings, this paper proposes several goals for the construction of a green transportation system in China including the establishment of a transportation management system, the improvement of transportation energy efficiency, the control of environmental pollution and the alleviating of urban traffic congestion. Additionally, it points out that in order to build a green transportation system in China, multiple aspects should be enhanced, i.e., the formulation of traffic planning, the optimization of transport structure, the development of urban public transport, improvement of integrated hubs, administration of energy saving and environmental conservation, development of intelligent transportation systems, technical innovations, etc.. In recent years, frequent haze has made PM2.5 become a public hotspot. PM2.5 control has been added to the 2012 release “ambient air quality standard.” Currently flue gas pollutant control technology does not easily remove PM2.5. Developing Flue Gas Pollutant Deep-removal Technology (DRT) for coal-fired power plants for deep-removing pollutants such as PM2.5, SO2, SO3, and heavy metals, is an urgent problem. Based on the analysis of the necessity and existing problems of developing DRT suitable for China, this study focused on PM2.5 removal technology, low NOx emission of ultra supercritical boiler under all load conditions, and the adaptability of SCR working temperature. Finally, the flue gas pollutant removal system at a 2×660MW supercritical power plant was introduced, and the roadmap for developing DRT for 1,000MW ultra supercritical units was analyzed. As the coal-dominated energy structure will remain unchanged in the short term, the sustainable development of the coal industry is still serving as one of the foundations for the sound development of the national economy. The construction of modernized mines based on "four orientations", that is, orientations of scale production, modern technology and equipment, informationized management and professional working team, has been rapidly enhancing its development in the recent decade. However, in the next decade or an even longer period, the industry, with the energy centre shifting to the West of China, will be exposed to new options and development in the layout, structure, model, technology, etc. In this paper a decision support system for systematically evaluating the impact of labeling products with their carbon footprints is developed and applied to prioritize products for carbon labeling in a large supermarket chain in the UK. Carbon labels may change consumers' behavior and encourage suppliers to implement carbon-reduction solutions. Those changes may, however, lead to unintended risks. To handle the challenges of uncertainties in the evaluation, the Evidential Reasoning approach and the Intelligent Decision System software for multi-criteria decision analysis are applied to support the process. The system developed can be applied to assessing the impact of sustainable development policies to maximize their benefits and minimize their risks. The Choquet integral can serve as a useful tool to aggregate interacting criteria in an uncertain environment. In this paper, a trapezoidal intuitionistic fuzzy aggregation operator based on the Choquet integral is proposed for multi-criteria decision-making problems. The decision information takes the form of trapezoidal intuitionistic fuzzy numbers and both the importance and the interaction information among decision-making criteria are considered. On the basis of the introduction of trapezoidal intuitionistic fuzzy numbers, its operational laws and expected value are defined. A trapezoidal intuitionistic fuzzy aggregation operator based on the Choquet integral is then defined and some of its properties are investigated. A new multi-criteria decision-making method based on a trapezoidal intuitionistic fuzzy Choquet integral operator is proposed. Finally, an illustrative example is used to show the feasibility and availability of the proposed method. This paper takes an overview of the Hongshiyan landslide dam triggered by an earthquake near Ludian County in Zhaotong City, Yunnan Province, introduces how the danger removal plan is drafted and implemented, and analyzes the outcome of its implementation. The paper then explains the significance and effect of coordinated management in the event of natural disasters and other public safety emergencies, and discusses ways to improve coordinated management. This article analyses the recent progressive increase in resourcequantity and production quantity of unconventional natural gas in China, describes its natural properties and the concepts, strategies and approaches of its development, summarizes the special techniques, management concepts and development modes formed in the process of its development, and puts forward proposals to accelerate the development of unconventional natural gas of China. The technically recoverable reserve of unconventional natural gas is 1.7 times that of conventional natural gas and its output in 2012 accounted for 41.8% of the total output in China. Chinese tight gas development has gained success, coal-bed methane development and shale gas production pilots have made important progresses. As the key feature of unconventional natural gas is "low grade", for the effective scale development, developers must build up the engineering concept of low-grade resources development, adhere to the low cost strategy, take the development route of "a step backward and then a step forward", apply such ideas and methods of engineering management as low cost dualistic integrative innovation, full control network management, economic limit theory, integrated operation and "four orientations" engineering management, establish a "two lows" engineering management system, and take reference of the successful development mode of the tight gas in Sulige and the coal-bed methane in the Qinshui basin. In order to achieve the objective of rapid development of nonconventional natural gas in China and to accelerate the development pace, the government should continue to increase support, to speed up the reform of natural gas price adjustment, to set up national comprehensive development and utilization demonstration areas, to input in sustainable technological research and to promote engineering management innovation.? With an analysis of current development of China’s coal industry, this paper, in the perspectives of concept innovation, technological innovation and management innovation, introduces the exploration and engineering practice by Shenhua Group in coordination with coal and the environment, co-development of coal and the associated resources as well as clean and efficient utilization of coal. Based on systems engineering of Shenhua’s coal-based integrated energy projects, the paper also presents practice and experience in technological and management innovation. In this paper, we discuss how to establish profiles of system engineering standards for companies. To define an appropriate system engineering standard for a company, this paper presents a detailed comparison between the current releases of the main system engineering sta-ndards (ANSI/ EIA-632, ISO/IEC-15288 and IEEE-1220), and explains how to choose the most adapted one according to the company practices. When no standard completely corresponds, the paper illustrates how to elaborate a tailor-made standard on the basis of specific required characteristics of the company or of the project, following a multi-standard approach, leading to extend and adapt a sta-ndard by importing some elements from another. Select Promote the Engineering of Ecological Civilization Construction by Building "Resource-conserving and Environment-friendly Society"
The research elaborated the internal connections between the construction of ecological civilization and "Resource-conserving and Environment-friendly Society", introduced the practice and achievements of promoting the construction of Ecological Civilization in the National Synthetically Reform Pilot Zone of the "Resource-conserving and Environment-friendly Society" in Chang-Zhu-Tan(C-Z-T) City Cluster, which is focusing on the establishment of standard system, the promotion of reform in ten key areas, the construction of ten key environmental projects, and the promotion of ten low-carbon clean technologies. Based on this, the research pointed out structural and institutional obstacles and problems in further promoting the construction of "Resource-conserving and Environment-friendly Society" and Ecological Civilization. Finally, focusing on reform and innovation, the research provided suggestions to deepen the reform of the construction of "Resource-conserving and Environment-friendly Society" and Ecological Civilization in four aspects, such as dividend of institution, dividend of nomocracy, dividend of development, and dividend of market. Green Smart City (GSC), is one of the new types of cities which integrates eco-concepts and information technologies. As GSC construction is a resource intensive process, it requires a large amount of knowledge, information, talent and capital. Thus, setting up an innovation ecosystem is an astute way to promote the construction of a GSC. This paper, based on the case study by the Insigma Group, tries to explore the rules of innovation ecosystem building for the construction of GSCs in China. The Smart City, coordinated development of economy, ecology and society, is the future of cities. Urban renewal is an important way to build the Smart City. Based on the Smart City theory, the authors propose the “12345” model of urban renewal, which means developing a tailored proposal of the city and citizen, and building “one city management system, two supporting safeguard measures, three information infrastructure platforms, four urban management modes, and five application service systems.” The city will gain the ability of self-adjustment and self-improvement. Smart urban renewal model not only solves the problems of the city at this stage, but also promotes the all-round development of the city, and access to sustainable development. This paper presents a brief introduction about the preliminary consulting and tender agent of Canton Tower, the basic situation of the whole-process supervision on the construction site, and a general summary of the Canton Tower project management. What’s more, the author suggests that some guidelines be formed for supervision enterprises involved in large-scale project management. Serious environmental problems have appeared in China since the rapid economic growth 30 years ago, which affect human's health and become a limiting factor for further development. It has brought about the rethinking of traditional ways for economy development and environmental protection, and realized that the change in the model of development and environment protection is of significance. A new industrial revolution is needed for protecting the environment and promoting sustainable development. This paper discusses the characteristics of the new industrial revolution for sustainable development including cleaner production, circular economy, and industrial ecology. Lessons from China and abroad will be introduced to prove that new strategies for environment protection and economic development are needed. This article summarizes the thinking behind the call for a revolution/an evolution in China's energy production and consumption. China is still a developing country, though it has experienced fast economic growth in the past thirty years. It achieved great accomplishments surprising the world, and it is also confronted with challenges on energy supply and environmental protection. As environmental pollution becomes more and more serious, the energy challenges have become more and more complicated. With this in mind, the authors analyzed China's energy situation, China's energy supply and consumption, the world energy map, China's commitment both to improving its domestic environment and fulfilling its international obligations to control climate change. Action plans are presented to support the call for a revolution/an evolution in China's energy production and consumption as an effective assurance for China's ambitious goal of building a moderately prosperous society in all respects. It is necessary for subsequent resource distribution planning that get expected relief time considering secondary disasters after natural disaster. The goal of this research is to develop a two-echelon emergency resource distribution model under condition of secondary disasters. Taking minimal maximize relief time as criterion of relief performance, we developed response strategies and simulation model to get the expected value. Numerical studies of this paper presented the result of response strategies.